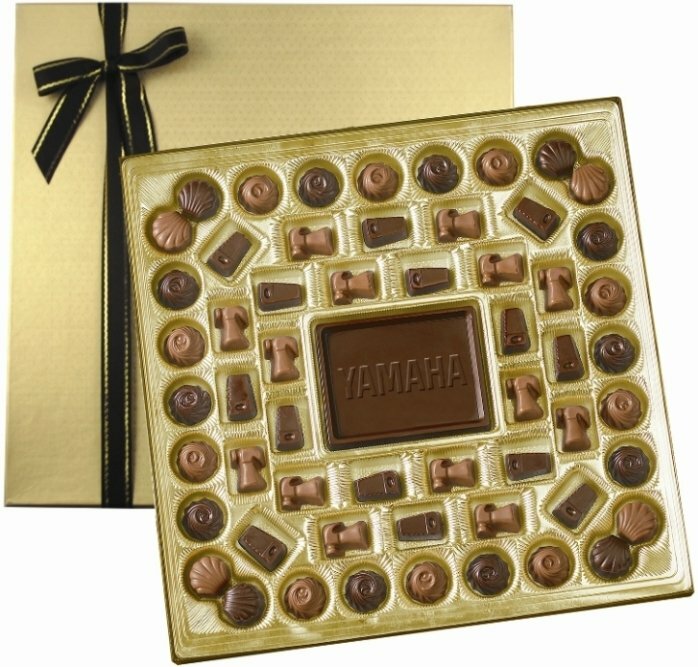 Chocolate Gifts-Molded Delights 22 oz. Customize your logo on 22 oz. Molded Chocolate Delights for promotional chocolate gifts. Wrap up the entire gift with choice of a Gold or Silver window box w/ribbon.